G8 GXP gains 45 Horsepower with INTENSE Performance Package. Now through Sunday March 29th, 2009 save 50% on all INTENSE Polyurethane Motor Mounts. If you have been waiting to purchase a set of our awesome poly motor mounts now is the time to buy! INTENSE Weekend Shift Pak Sale! 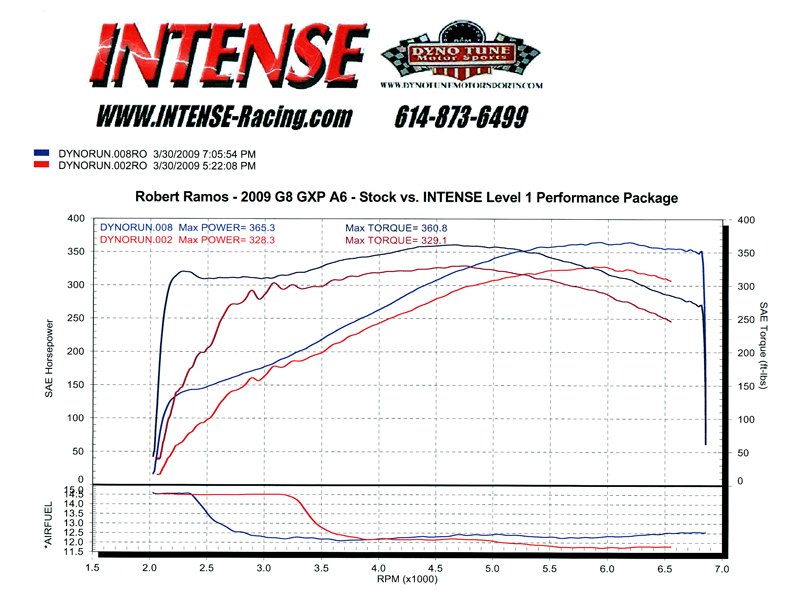 Now through March 22nd, 2009 you can get our INTENSE Shift Pak for only $99! Now through Sunday 3/15/09 you can get our INTENSE Modular Pulleys for 50% off! INTENSE Modular Pulley systems are just $74.99 during this time. Get ready for the track season by getting 2 pulleys for the price of one!